Japan, the land of bizarre inventions, has done it again. 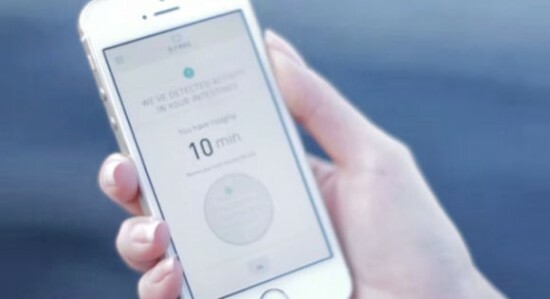 You have all heard about apps that remind users about working out and drinking water, however, this wearable gadget by a Japanese startup based in California, Triple W, shall let you know when it is time to use the washroom. Yes, you read it right. The gadget is capable of ascertaining the bowel movement and gives a 10 minutes heads-up before the user needs to use the toilet. The idea sure sounds comical at first, however, looking at it objectively reveals that this device will work wonders for those who are only allowed scheduled breaks or for those who are suffering from the issue of incontinence. All that the user needs to do is to attach this gadget to their belly and then connect it to the app on their smartphone. 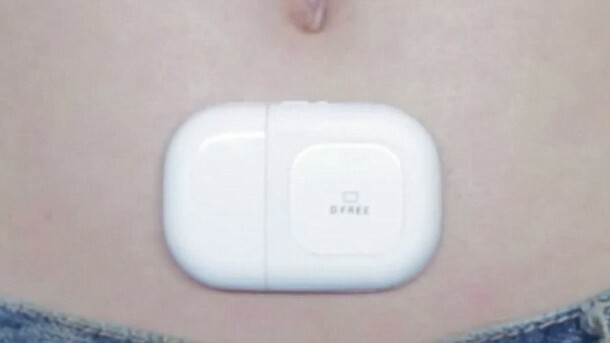 The device’s sensors then monitor the swelling of user’s intestines and shall relay notifications to the phone about 10 minutes in advance before nature calls. The app also logs bowel movements so that it can learn about the user’s daily habits and thus improves the notification’s accuracy. The gadget has been named as ‘D Free’ and was unveiled at a venture capital event. The company said that this gadget is a way of helping those who suffer from unpredictable bowels by giving them sufficient time to find a toilet in time. It is also claimed that this gadget is suitable for those who have limited mobility or those who are on wheelchairs. D Free has been priced at $200 and has not yet been made publicly available. The company says that they need to raise funds and shall be doing so via crowdfunding sites. They are hopeful that they will be able to raise enough funds to allow for shipping to US buyers in May and Japan in December 2015. It is expected that the price will be brought down to $50 to allow for large scale production of the device.